The Law Enforcement Torch Run is the single largest year-round fundraising vehicle benefitting Special Olympics Illinois. 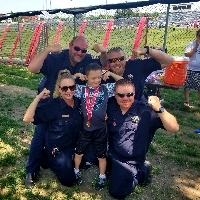 The annual intrastate relay and its various fundraising projects have two goals: to raise money and to gain awareness for the athletes who participate in Special Olympics Illinois. Since its inception in 1986, the Illinois Law Enforcement Torch Run has raised more than $51 million for the athletes! 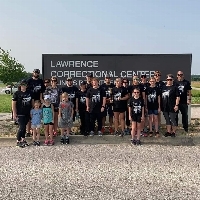 Beginning June 2, law enforcement throughout Illinois will carry the Flame of Hope nearly 1,500 miles, running through hundreds of communities via 23 different legs (routes). Information regarding the specific routes will be available in late spring 2019. Click here for details. The Flame of Hope will ultimately be delivered to Bloomington-Normal for the Opening Ceremony of the Special Olympics Illinois Summer Games on June 7! Departments or Individuals interested in raising donations in conjunction with their local Torch Run are encouraged to register via this event. All donations raised will be credited to your departments Torch Run fundraising totals and benefit the athletes of Special Olympics Illinois! Donations can be accepted via this page through June 30, 2019.